I guess the Chinese knew all along how environmentally friendly bamboo was – it grows fast and is biodegradable. The bamboo scaffolding on a Kowloon high-rise caught my eye. Is it really bamboo I questioned until I got up close? 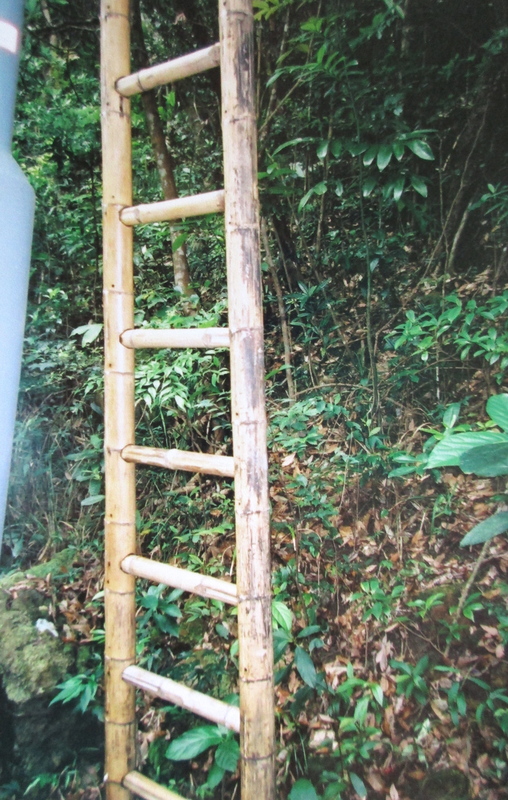 Next, I spied a bamboo ladder with neat holes where the rungs were fitted. Yeah, I know. These are not my most exciting photos but hey, I’d never seen this before. 🙂 A very common sight here as well. Mallee!